Morris James LLP and Wilson Halbrook & Bayard, P.A. have combined their law practices. The six Wilson Halbrook & Bayard directors joined Morris James as partners on January 1, 2013. As a result of this merger, The Morris James Personal Injury Group welcomes a new Partner, Clayton E. Bunting, to provide full services to our clients with plaintiff’s personal injury cases, including automobile accidents and workmen’s compensation. Clayton represents clients involved in automobile accidents and personal injury cases. 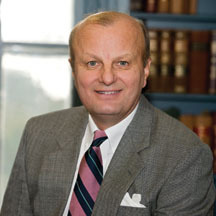 He additionally represents plaintiffs in workers’ compensation matters, insurance matters and premises liability cases. Our entire Personal Injury Group of attorneys is very excited to welcome such an experienced new team member who shares our guiding principle of being a compassionate listener and striving to achieve the best result possible for our clients. 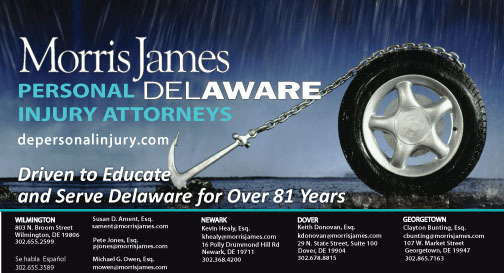 The Delaware Personal Injury Lawyers of Morris James LLP understand that being injured in an accident can be a frightening experience, especially when someone else’s negligence caused your injuries. You may be facing medical bills, lost wages, and other significant expenses, all because of someone else’s carelessness. We frequently see victims who are injured because another driver was using a mobile device, disregarded a red light or stop sign, was distracted by passengers, was speeding, or was otherwise inattentive.